The WP EasyCart dashboard is your starting location for all things eCommerce related in EasyCart. 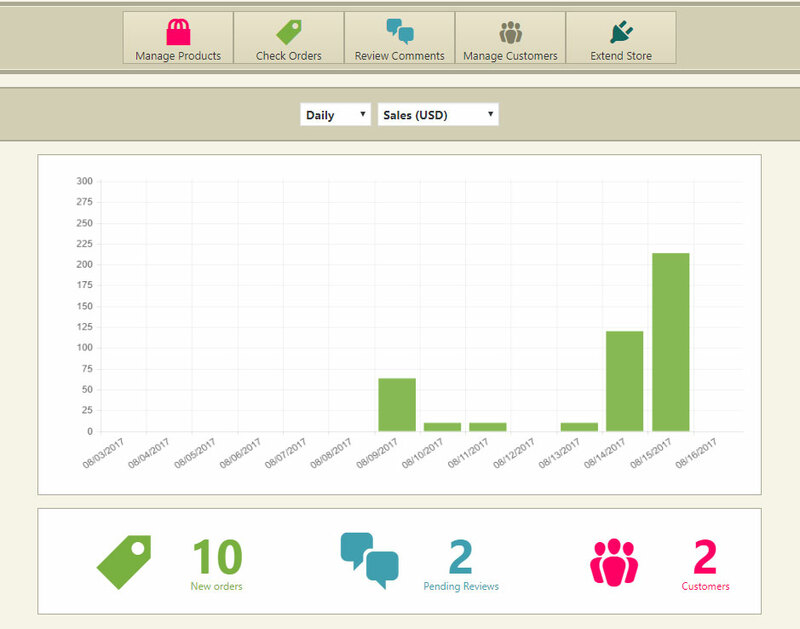 The dashboard provides quick stats for your daily, weekly, or yearly sales. You can quickly see how many new orders you have, all your pending product reviews from customers, or total customer values. From here, you can begin managing products, checking orders, review comments, or manage customers all from this location or the main EasyCart menu on the left.